Aries, fasten your seat belt! In February, you will fly at the speed of light! The horoscope tells that your glowing mind will cut the misty haze of doubts like a bright flash. Aries will understand the connections that have made no sense for a long time. In February 2019, things will simply start fit together like two pieces of zip that you couple with the rider. Aries, because your brain may turn into a powerful nuclear reactor, the horoscope recommends focusing on solving complex problems at work, and at home as well. But do not forget to rest, otherwise there is a high risk of overheating and exploding like Chernobyl or Fukushima. Taurus, the February horoscope provokes you to brush up the past. This may be an old study diploma, a list of deleted phone numbers, or a childhood photos. Even old dress buried deep in the wardrobe can be fashionable again. Thanks to the past you realize who you are today. February 2019 is a great time to admit that you are more assertive and ambitious than before. That Taurus is not afraid to raise voice when someone is too offensive or when you simply feel that you have an ideal opportunity to use your talent. According to the horoscope February will reveal the fragility or strength of Gemini's relationships. It may soon turn out whether love is more silver or gold of your life. Did you know that in ancient Egypt silver was more valuable than gold? The Egyptians considered silver as bones and gold as skin of the gods. In February, Gemini will have the unique opportunity to clarify the role of love in life – whether the deep passion and strong bound is just a surface (gold) or a solid skeleton (silver). Horoscope also reveals that humour and the ability to understand even odd jokes is very important. Gemini, in February you will prove that you are a walking oasis of peace, and that you are able to laugh even to very sharp criticism. Cancer, February will not be boring at all. Your heart will shine like a light bulb and send energy to the whole world. If there will be a "best radio host" contest announced, then the winner will undoubtedly be someone born in the sign of Cancer. The horoscope anticipates that Cancer will acquire the ability to relieve the pain of others. If, in February, Cancer meets someone who kneels helplessly, he or she will definitely help him / her stand up. Furthermore, the horoscope assures Cancer that in February 2019 he or she will be able to overcome all problems that may be following your zodiac sign for many months. Where others stop, Cancer will still have enough power to go a step further. In February Leo is able to develop the business talent and will be lucky in all kinds of markets. Whether you are interested in stocks, bonds, or just want to sell an antique candlestick from your grandmother at eBay, or if you are looking for a kitchen appliances at discount price – according to the horoscope, Leo's success is simply guaranteed. But beware of flashy clothing. An eccentric scarf or a bizarre T-shirt is great if you want to be famous or looking for new acquaintance. But if Leo wants to relax, and it seems to be this case in February 2019, then inspire yourself rather by chameleon or owl (simply forget that the Leo is the king of all animals), because they can perfectly blend with the environment. The February horoscope also underscores the ability to deftly handle words. Leo, you can flatter the customers, the superiors and the loved ones, and perfectly formulate ideas in addition. Virgo, your February horoscope sounds similar to a big cannon shot. But, do not be afraid. The horoscope reveals that such loud bang is not a synonym for the army attack but it is simply a noisy start of applause or fanfare. The stars are favourable to your zodiac sign, so whatever you intend to do, you may succeed. Imagine that the big cannon shot is accompanying your unexpected victory. 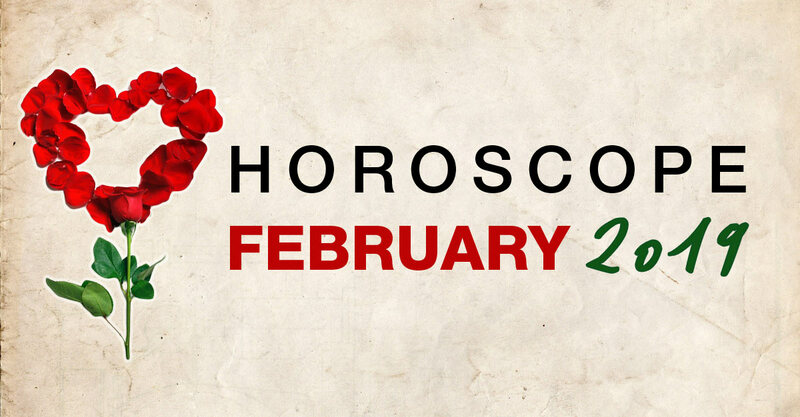 February 2019 will become a fertile soil even to very modest people born in the sign of Virgo. Your actions will grow into nutritious cereals though the whole year. Virgo should be careful only with highly seductive fantasy. The vague difference between reality and fiction may, according to the horoscope, spoil some important decisions, mostly in investment or finance. Libra, if you ever wanted to become a spy and a hero, you will surely appreciate February 2019. If you suspect that you are being carefully monitored by your mother-in-law, then you will finally be able to confirm or deny that presumption. Similarly, if a beloved counterpart or even a superior at work crosses the allowed boundaries of your privacy, then it is time to set them up again. The February horoscope says that you will show to others clearly what they can and what they can't do. At the same time, Libra should review all given promises (but check also who owes you). The February horoscope also informs people born under Libra that you have a unique opportunity to organize your life newly (professionally it would be called "restructuring"). According to the February 2019 horoscope, the exploration talent of Scorpio will be on the rise. It is true that America has already been discovered by Christopher Columbus and no other continent is likely to be waiting for you, but if you have more modest goals, you can be nicely surprised. New thoughts will stimulate the bloodstream of Scorpio. Love and emotions may also awake the coming Spring much earlier. The horoscope admits that the sharp eye of Scorpio will very strictly evaluate the appearance of people and things you will encounter during the whole month. But be cautious and do not criticize too much. Encourage all beautiful and smile when facing the ugly. Sagittarius, keep an eye on your nerves, because staying calm is the key feature in February. The horoscope suggests that the occasional desire to assassinate someone might be stronger than you now admit. We don't say you should end up on the bench with a life sentence, but it suffices if you say something that you can regret forever (or at least till the end of 2019). And that can happen right now. Sagittarius, if you will feel the explosion of anger is near, we definitely recommend you to go for a run, to play drums and or to chop a pile of wood with an axe. A hug from a loved one will be 100% better than reading a three-hundred-page manual of psychology. Destroy and create. Capricorn, these are two keywords of the February horoscope that will determine the rhythm for you. This month Capricorn will complete something big and at the same time you have to figure out where to go for the rest of 2019 (next essential step). It is time to enjoy first class design, development projects, but also time to destroy and forget all the old and useless garbage. Capricorn should take more than one long hot relaxing bath to free his or her mind and lighten the body. Imagine that you meditate in the blooming garden. Only in the ideal harmony you will find the right ideas. In February, take a look at your wardrobe and everything you have not put on for more than two years, please give all that to charity. The horoscope also encourages Capricorn to be cautious of infidelity. Being seduced will be easier than ever. Aquarius, February will raise some fundamental questions. It can concern your children, health, or aging parents. The horoscope suggests that you will have to accept the fact that the glass is better half-full than half-empty. In other words, nothing is ideal, but you need to enjoy the little you have rather than lamenting about all what you still do not have. Probably you will never taste the boring life a billionaire, such as an oil tycoon who is idle on a ranch in Texas. But unlike him or her, you know much more about true life. February may show that a strong wind can break down trees, or that sweet (though cooked) fruit is sometimes wormy. But you can handle these and similar problems. In February Aquarius should gather strength for the whole 2019. Seek harmony! Pisces, according to the horoscope February will be like a bouncing ball (maybe a boomerang). If you thought that some of the problems could simply be creased like paper and thrown in a basket, February will convince Pisces that many of them can come back, just like a rubber ball. Pisces, you have simply to accept that solving complicated problems is a challenge for a lifetime. Just like the Eastern philosophy says that the path is a goal, according to the horoscope, Pisces should figure out that life is also like a book in which you turn only one page every day. The year 2019 is not a shopping leaflet that you would flip through in few minutes. February will ideally prepare Pisces for such understanding of the world.